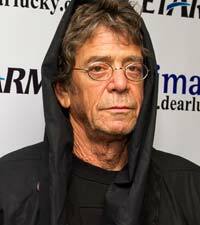 The 22nd annual Tibet House benefit has announced that Lou Reed will be joining Dechen Shak-Dagsay, Laurie Anderson, Rahzel and James Blake for the Phillip Glass-curated event, according to Spinner. The event takes place February 13 at Carnegie Hall in New York. More artists are set to be announced in the upcoming weeks. Tickets for the event are currently on sale via the Carnegie Box Office, and are speculated to sell out as they have for the previous 21 years, so be sure to get them while they are still available. Tickets to meet the Tibet Houses’ honorary chairpersons after the reception are also available. The Tibet House aims to promote and preserve the vibrant Tibetan culture by being a hub and online resource for those interested in learning more. Head over to The Tibet House for more information.